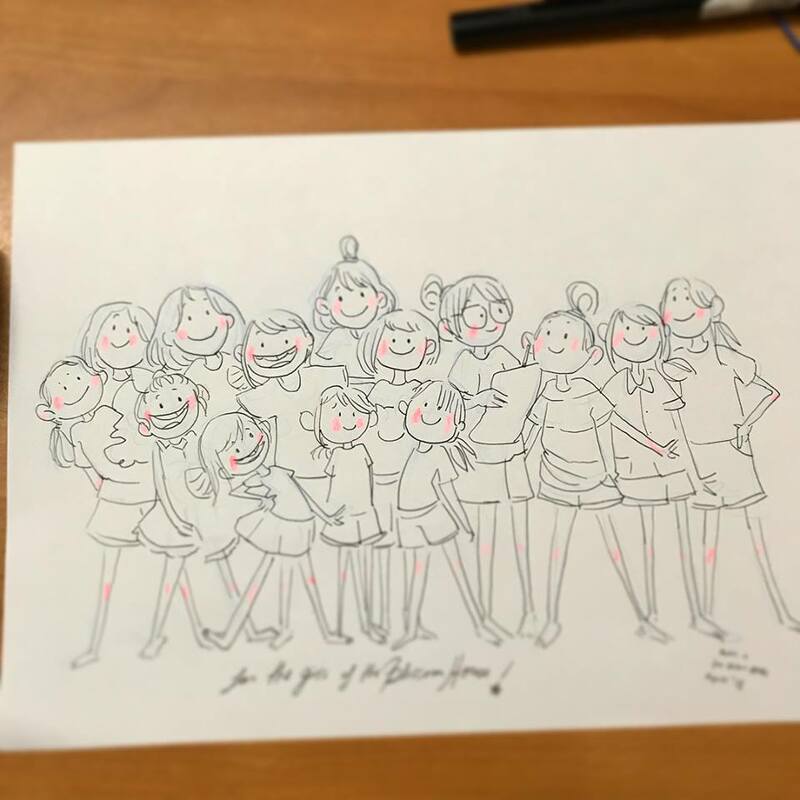 Really excited to share the news that Katia Grifols (our mastermind at the studio) is part of this amazing rooster of Spanish Artists united for a wonderful cause: the creation of Diferente, a co-illustrated comic written by ILEsucero and sponsored by Dibujos Por Sonrisas. 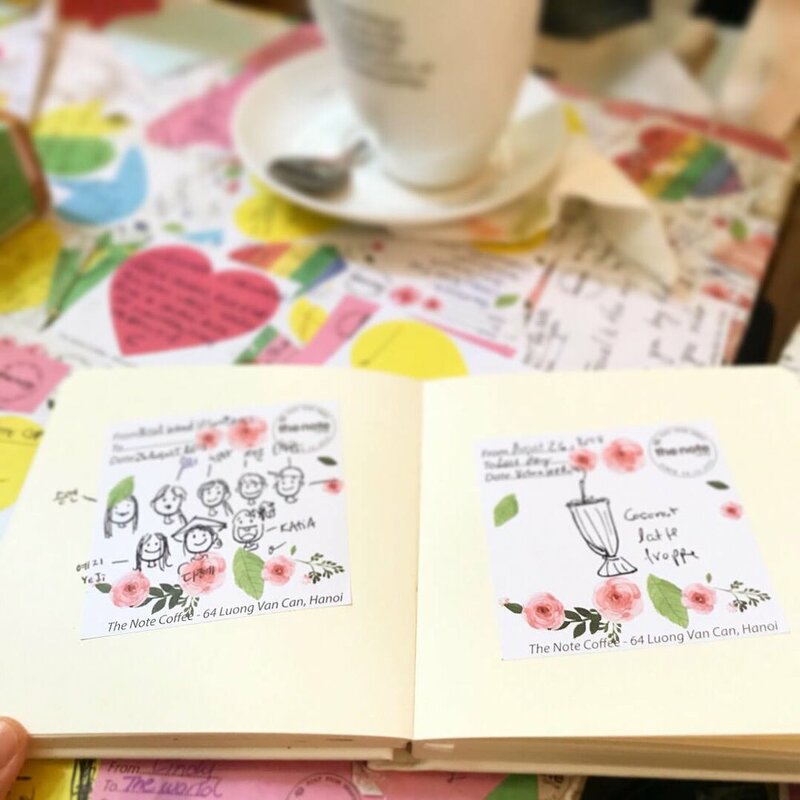 The project it’s been crafted in a disinterested way, since the benefits of this comic will be used in the campaigns that the organization Dibujos Por Sonrisas carries out to dignify the lives of refugees. Diferente will be presented during the next Comic Barcelona 2019, and besides acquiring it right there, you will soon have it in all the bookstores. Diferente tells the story of Jana, a young woman whom one day discovers that the world around her changes in appearance at every moment. To visualize these changes in the reality of Jana, each page of Diferente - sometimes even each vignette - is drawn by a different artist. A narrative tour de force that moves between fantasy and thriller showcasing the journey of self-discovery and self-improvement. We really hope the best for such a wonderful project!!! And keep going!!! Semi-Finalist now!!! 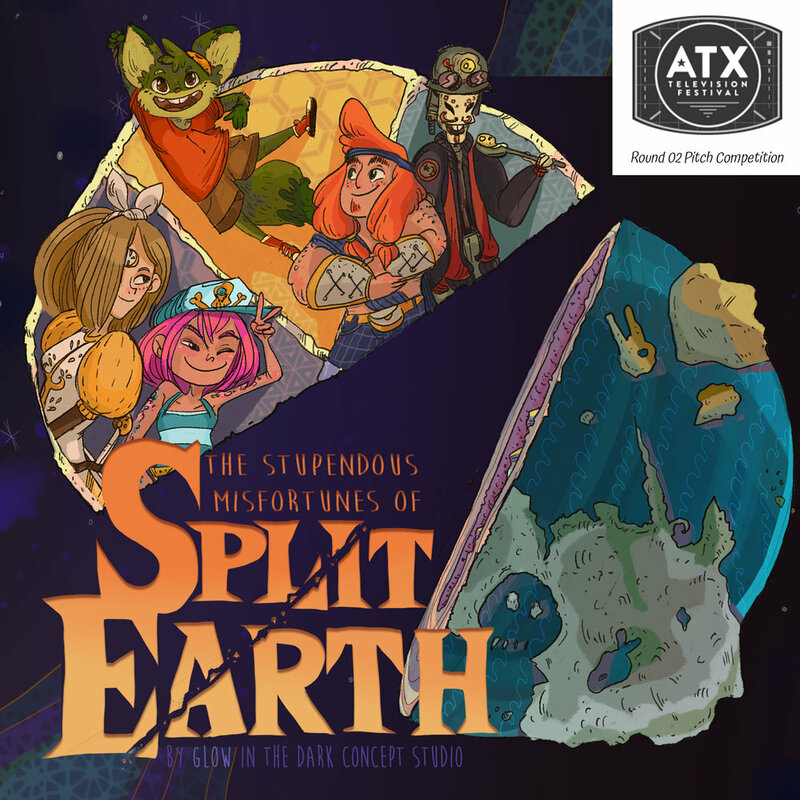 We are super excited to celebrate that we are officially on the Semi-Final for ATX with Split Earth!!! Sooo Proud of our Team!!!!! Small Victories must be celebrated!!!! 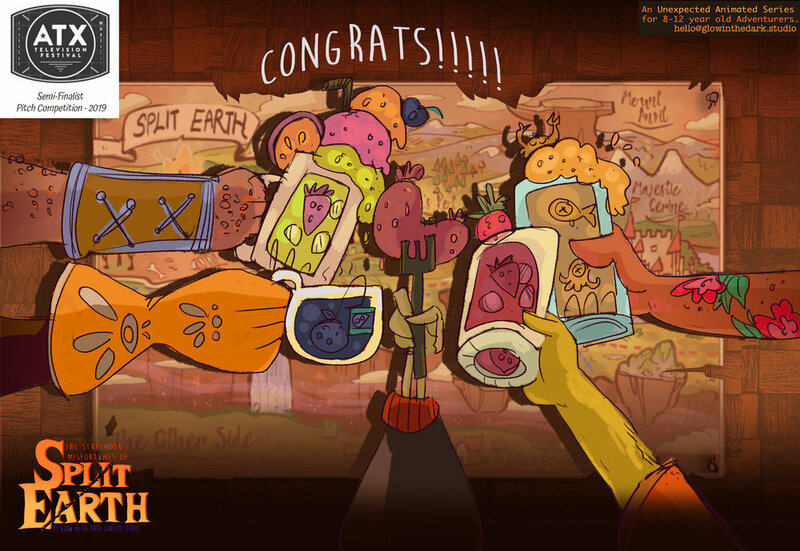 So here we are to congratulate Alberto Corral our Stupendous collaborator and our awesome Team for the great work on Split Earth!! We are very proud to announce we are in Round 02 for consideration at the Pitch festival in ATX!! Sooo… yay!!!!! Business Trip, Studio Internal News! End of the year Highlights! Lucky and thankful as always for being part of CTNX! We had a very cool panel about Creative Collaboration and we are very happy and thankful for the turn around! So glad to see familiar faces and new ones as well! We never get tired of this building or this people!!! It’s always so inspiring!!! And what better than mingling with other creative heads in town! Was definitely a memorable night! Super short- but very inspiring! - trip to London for secret reasons!!! So we took a chance to get very soaked on the very heart of it!!!! And well… now the year is ending.. so we can’t wait what’s next for us in 2019!!!! Mandatory crew pic at the always awesome to visit Dreamworks Lot!! Once again that sad time to say goodbye to our awesome intern Leslie Hernandez! We will miss you! And if you are thinking on applying to our internship program… check what our past interns have to say!! Meanwhile Henry, our designated office skeleton, will take that chair till we have a new intern! After a crazy inspiring week we can say we are back in Burbank with a LOT of awesome stories to tell from the OIAF !!! The convention was a success for us!! Not only we had a chance to represent Pirateers! It the TAC semifinals (that was an awesome experience already! ), but we also took full advantage of all the incredible inspiring and informational lectures, events and a very well organized Business Fast Track. We saw a lot of international movies, made tones of talented friends and discover the heart of a very lively city that lives up to their high Canadien friendly standards. The event had a lot of very fun and successful networking events like the Toon Boom sponsored Boat Cruise, or the BBQ-Pumpkin-Carving event in the beautiful park sponsored by Cartoon Network. Not to forget the great Nickelodeon Breakfast and the lunch and parties networking events. We really look forward to come back next year and see all the new friends we meet! Also stay tuned for mischievous outcomes from this event! And what kind of Creative Studio we would be if we didn’t took the chance to explore and get inspired by this beautiful city?? So we did!!! And we discover tones of wonderful bookstores, secret coffees, amazing beautiful fall colors and very impressive Modern-gothic Architecture! Ottawa is a Must See City!! Wanna know what we are up to more often? Follow our instagram! Congrats to our Pirateers Crew for entering on OIAF's Semi-Finals!!!! We are soooo excited and soooo proud of our Pirateers Crew for hitting the semi-finals at the PITCH THIS! Competition at this year’s Ottawa International Animation Festival. We hope the the best luck for them the next week in Canada!!! That has been a truly team effort!!! Because Art and Stories are around the world there is nothing more inspiring to go find them! Glow in the Dark was part of an Art initiative program promoted by the Right Hands. The volunteering promoted the Arts as a tool for Little orphan kids to not only use Art as a healing therapy but also as a possible future career for them. To learn a profession that will hopefully help their way out of poverty. Obviously with a great story like this we had to participate! We create content for kids at the studio, hopefully to give them awesome childhood memories. What a better chance for us to give those memories.. like literally! It was a very inspiring experience, extremely heartwarming and… we got the chance to teach this little future talents a bit of photoshop! The Right Hands provided them with Digital tablets, digital art programs, and art material for the kids so they can learn with good tools. We also participate in a lot of very inspiring activities like Museum Trips, Arts and Crafts day and even self modeling life drawing! We will miss this girls a lot and the awesome group of Volunteers! We were soo charmed by Hanoi (Vietnam). Thanks Right Hands for this awesome experience!